But what if you could get crutches that were designed for maximum ease and comfort, and that worked with the smaller body? Smaller in size, but equally as great as the larger version of our best-selling Ergobaum Crutches, Ergobaum Jr. is comprised of the same state-of-the-art technology and materials as the larger version. 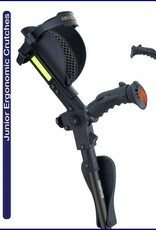 A smaller cuff, handle, and body provide the best fit for kids and older users under 5’ in height. Designed by an orthopedic surgeon, using medical grade materials, Ergobaum Jr. Crutches are unsurpassed in form and function. With the highest number of patents for crutches on the market, Ergobaum Jr. Crutches promote greater mobility, functionality, and comfort. The sleek, ergonomic design not only looks good, but is the most comfortable and practical ergonomic crutch for users under 5’ tall on the market. We take pride in our unsurpassed products and customer service. 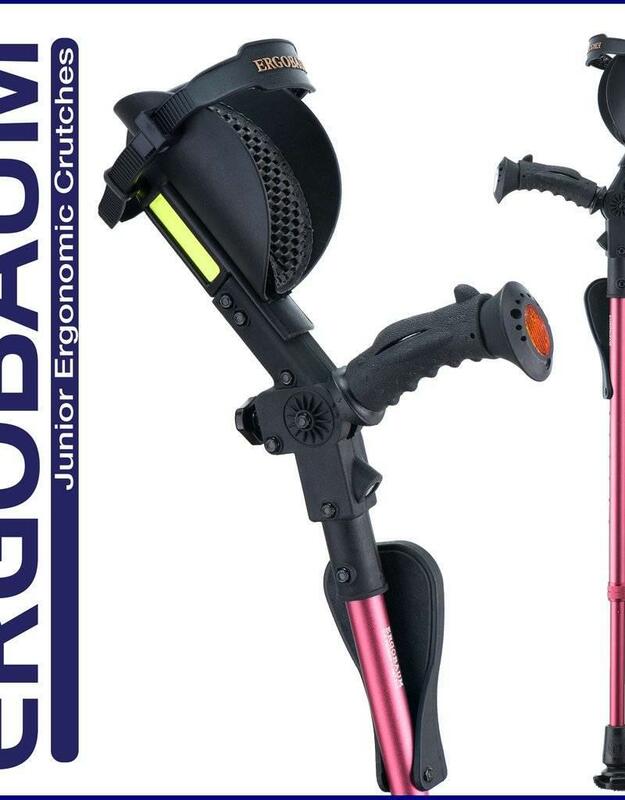 Ergobaum Jr. --The first ergonomic crutches with shock absorbers, LED lights, and other conveniences designed for users under 5’. Standard crutches are not designed for comfort or with ergonomics in mind. They often cause friction, as they do not work with the body. Ergobaum Jr. Crutches, like the larger version, are designed to facilitate the recuperative process and accelerate patient recovery. Whether a temporary injury or a chronic condition requiring crutches, Ergobaum Jr. Crutches provide ergonomic support that works with the user’s movements and weight distribution.